These days JBL Music is a part of a campaign for Honda Jazz in corporation with Starcom/Vivaki. 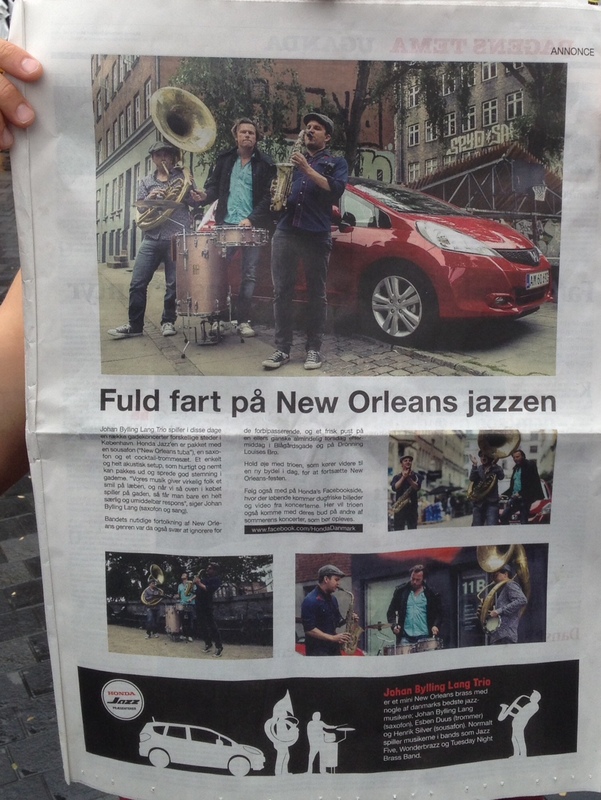 The project is adverticing the great Honda Jazz car and uses musicians from JBL Music as case; Mini brassband is put together and play pop up concerts in the streets of CPH during CPH Jazz Festival. Ads are printed in main Danish newspaper Politiken – (web and printed version), facebook, instagram and blogs.